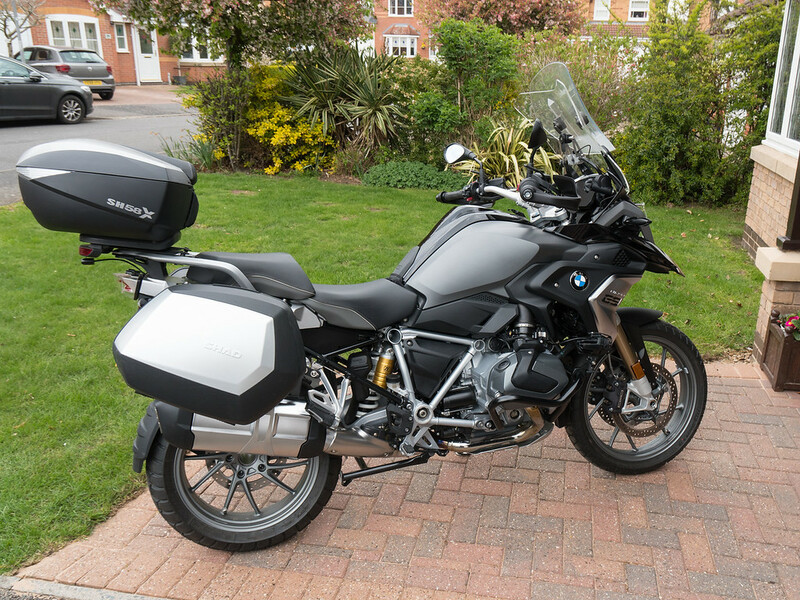 Being doing a bit of work on the GS - can you sport the difference? And no, it's not the top box! Tool roll under the carrier? Well spotted - the tool tubes have been reinstated from the previous GS, but that is not the major change. The exhaust is at a different angle but it would have to be because of the tool roll, but its probably the lightness of your wallet ! OK - you've got it. The lowered exhaust allows my Shad pannier rails to be fitted from the last GS, and I had already added brackets for the tool tubes to these. Also as Ralph has observed my wallet/bank account is a lot lighter and continues to be drained for mods and farkles! On the last GS I just fitted a big chrome exhaust from the RT model as the integral link pipe on this is at the required angle, and it fits straight onto the the outlet from the cat, just needing an extension to the hanger bracket. This was OK, and I actually grew to quite like the look of it, but this time round I was more ambitious and wanted to have the correct exhaust, but fitted at a different angle so that I could refit my Shad pannier rails. To achieve this I bought another RT exhaust, but a more or less scrap one with severely dented end can, and sawed off the link pipe section. 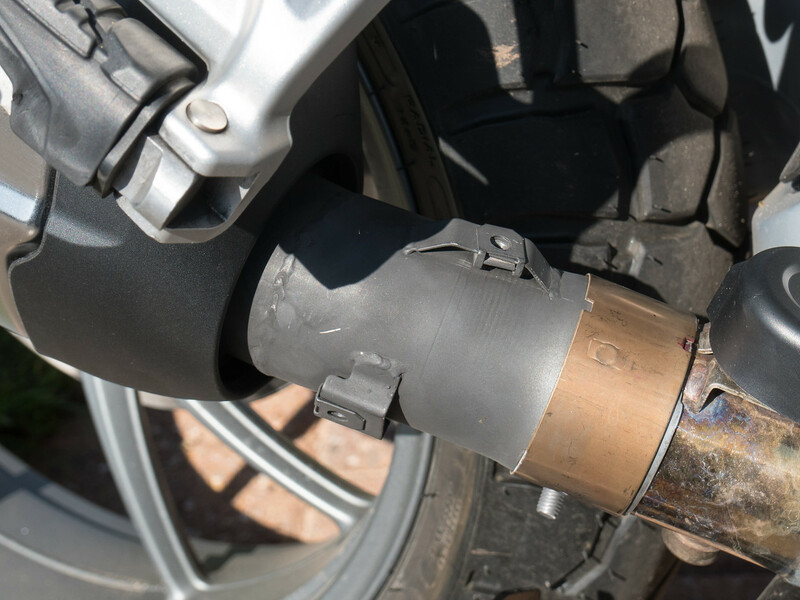 I then bought a cheap GS exhaust with cracked plastic bits and chopped off its link pipe section. I also cut the heat shield brackets off this for re-use. I used the plastic end pieces that came with the bike, but wanted to keep the original exhaust unmolested for if (when!) I sell the bike so that I can put it back to standard. I then spent a lot of time grinding and filing to adjust the fit of the RT link pipe to the GS exhaust can to get the positioning where I wanted it. The final challenge was to work out the exact place to put the brackets for the GS heat shield, and then clamp them into place. Once I was happy with it I took the whole thing off to a local exhaust specialist who welded on the brackets and then welded the link pipe to the can in the orientation I had marked up. He did a great job while I waited and only charged me £15. I then had to fabricate an extension to the heat shield to cover the gap caused by the change in angle. I used some reasonably thick stainless steel sheet, and because I don't have any metal working equipment I had to improvise a way to curve it, but after the best part of a day spent cutting, bending, grinding and filing I was fairly happy with the result and inserted a rivnut into the flange on the original heat shield to fasten it in place. 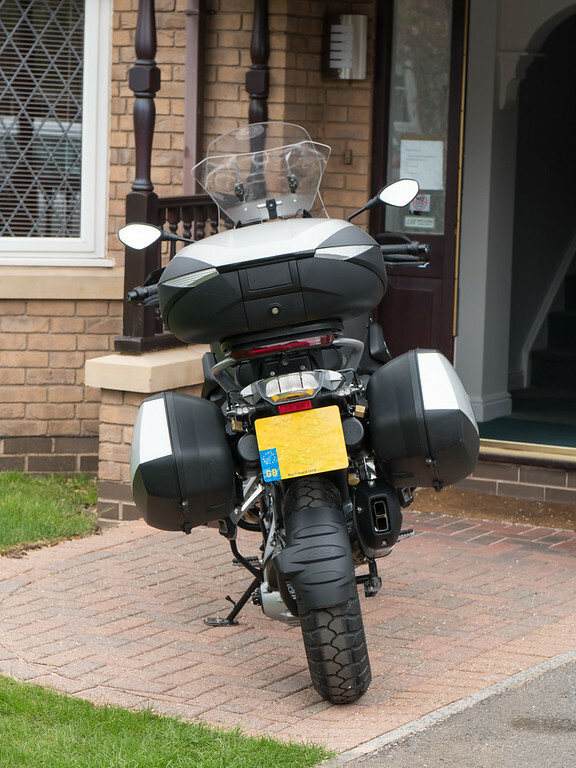 You may have been a lot of work but the professional look and the convenience of the panniers should make it all worthwhile. 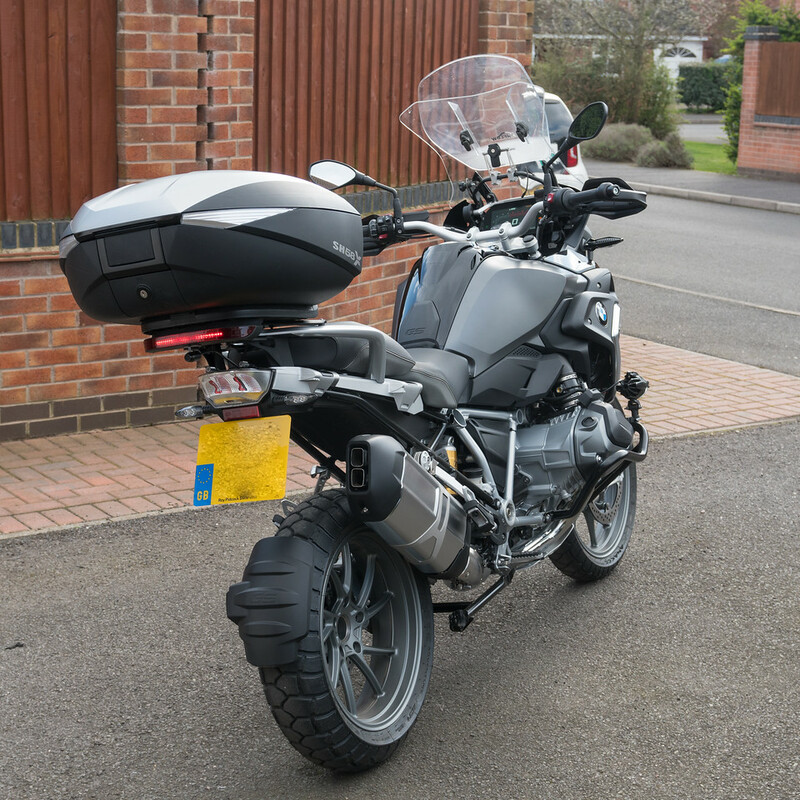 Thanks Rocker - some may think it seems like a a lot of trouble to go to, but you are right about the panniers - I much prefer them to the big metal boxes, plus I do really enjoy the challenge of doing this sort of little project. Function over style, I love it. The wade line, the whole point of a raised can, is still the intake so the narrow panniers are freebie from a design point of view. They should all be like this. Not intending to do any wading, but for what it's worth the air intakes are quite high up - just above and in front of the BMW badges. I use one of the tool tubes for a 1 litre Primus metal fuel container with an emergency petrol supply. I only averaged about 46 mpg on the last GS so it's nice to have, though I've never had to use it so far. The other one has a few additional tools mainly in case I need to get at or adjust some of the bits and pieces I've added, and on the the reverse Sod's Law basis, namely that if I take the tools I will be less likely to need them! Nice work Fred, looks like it was meant to be that way. Much more practical without the panniers half full of exhaust too. I absolutely agree, great job Sir! I think I prefer it to last year’s RT exhaust (but can’t quite put my finger on why? I suppose it’s because it looks more ‘standard’..). All run in now? Ready for Spain next month? Thanks Tex, and I agree, although the big chrome can was good looking in a way, it's nice to have the the original style which makes it less obvious that it has been changed. 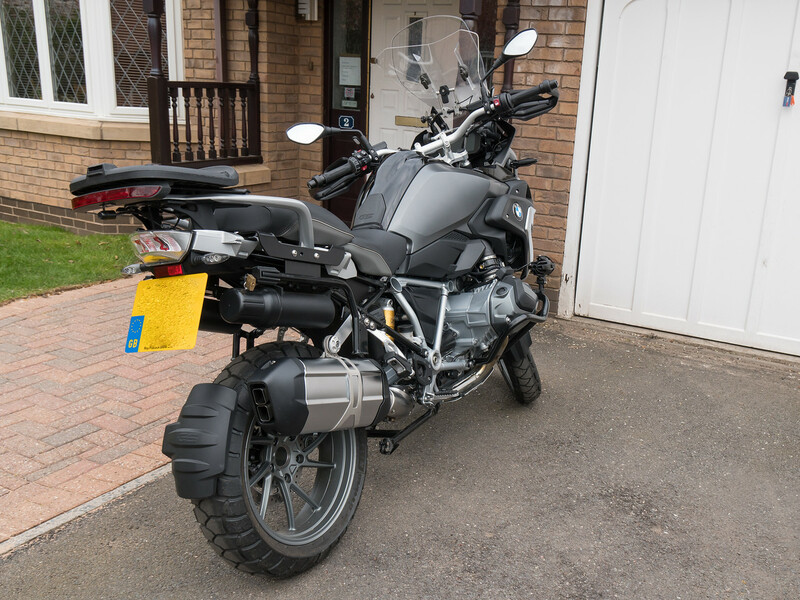 Got to do another 100 miles before the first service which is booked for the 30th, but other than fitting a power converter for my action cam it's pretty much ready for Spain. 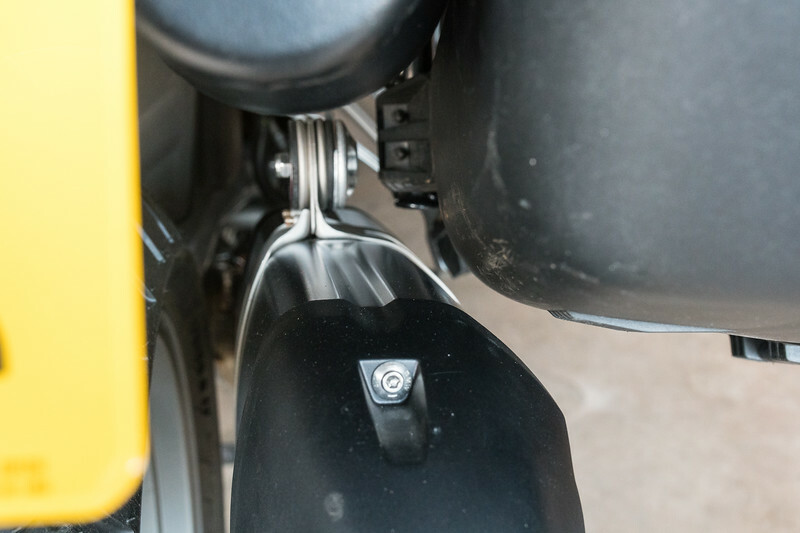 How close is the pannier to the exhaust? Is heat going to be an issue. If so might be worth attaching a piece of soldering mat to the pannier to act as an additional heat shield. Good point Peter, and thanks for the concern, but I think it will be OK. 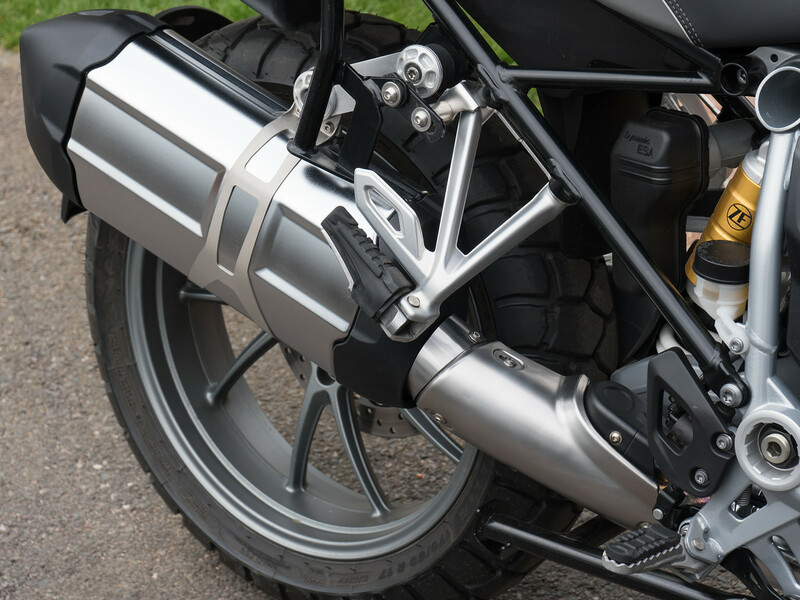 There is a reasonable clearance and the pannier only overlaps with the cooler rear end of the silencer can, and they diverge from each other from the rear - the pannier angles out slightly and the exhaust angles inwards. 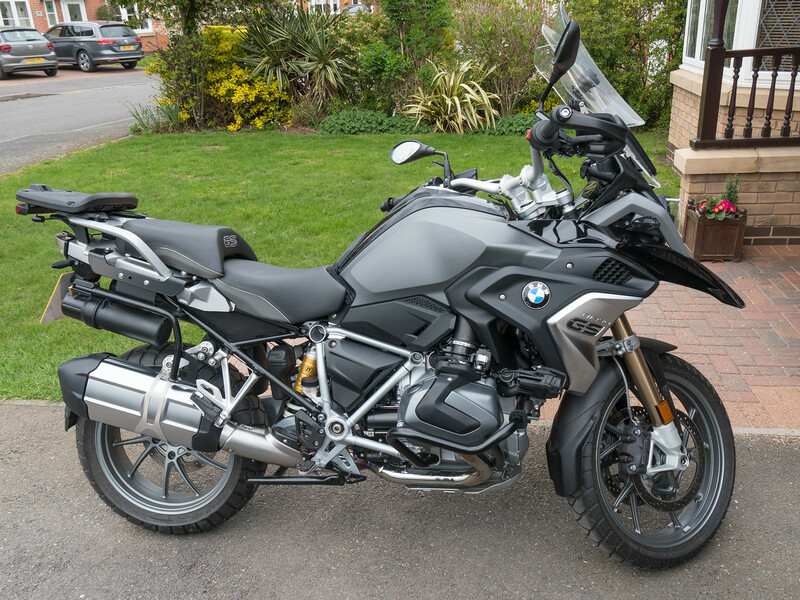 I will check it out though before my next trip, and if it does seem to be getting hot I have some proper aluminium exhaust heat shield material which I can stick on. I've got Oxford soft luggage which rests on the exhaust of the triumph and it gets slightly warm but has never melted anything, dries out damp clothing !